Tip #3: How Do I Enter Live & Dream? At Horyou, we encourage people to Dream, Inspire and Act. 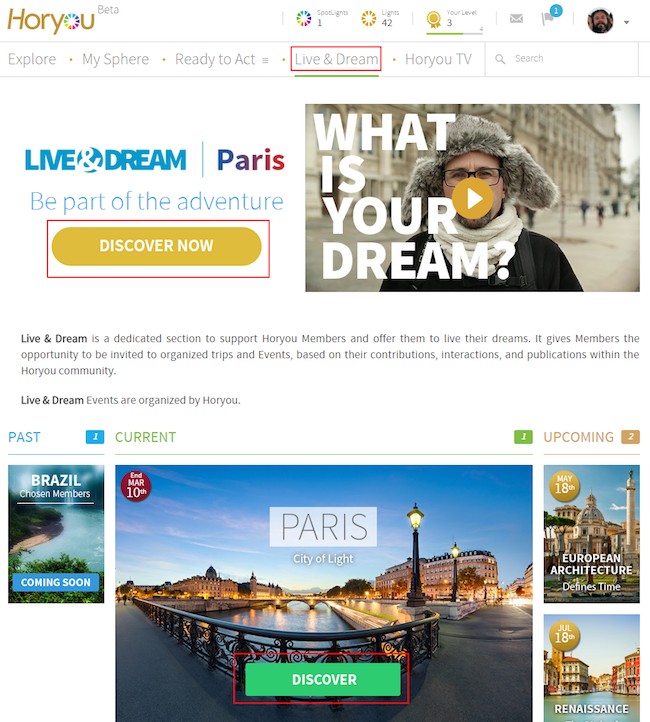 We believe that giving back to our users is essential, so we have created Live & Dream, a section dedicated to Horyou members that allows them to receive the benefits of their involvement within the Horyou community. Live & Dream events are organized by Horyou. 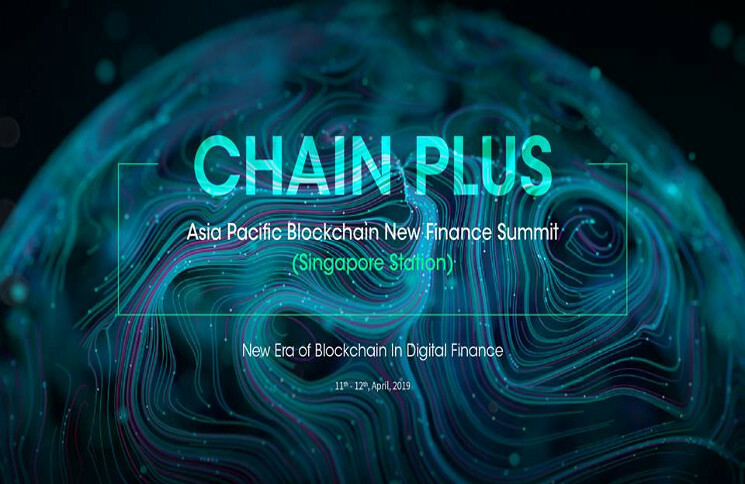 Each event is unique and could include: travel, concerts, conferences, meet & greets, etc. Our first event (registration now closed) is a 10-day journey to Brazil. Two of our Horyou Members will be selected and have the opportunity to travel and discover the Amazonian forest with explorer and Horyou Personality Christian Holl. Now it is time to turn to our Live & Dream Paris event! 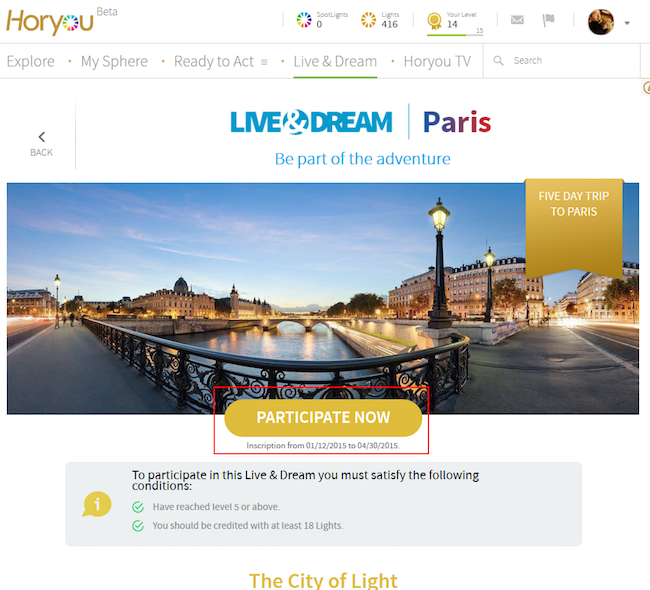 Horyou Members can register to become a part of Live & Dream now! 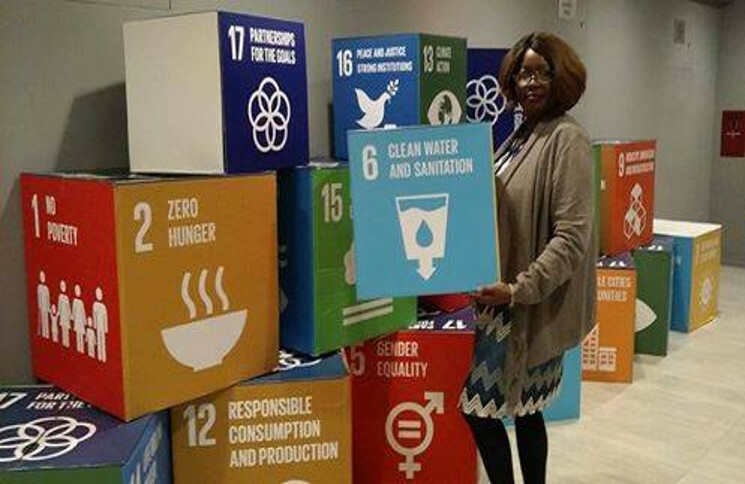 Every Live & Dream opportunity holds specific criteria in order to apply. 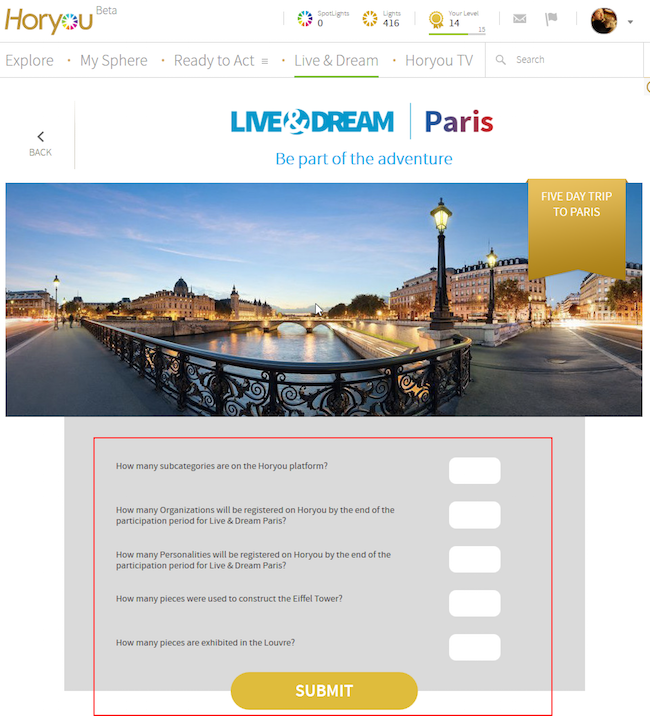 To enter our Live & Dream Paris, you have to click on the dedicated tab (see below) and then go to the current event. Here you can see the conditions you must satisfy to enter the event. In this case, you need to have reached Level 5 and to have received at least 18 Lights. In the screenshot below, the user doesn’t meet these criteria. Check this post to learn how to increase your level. When you become eligible, the button will turn from grey to yellow. 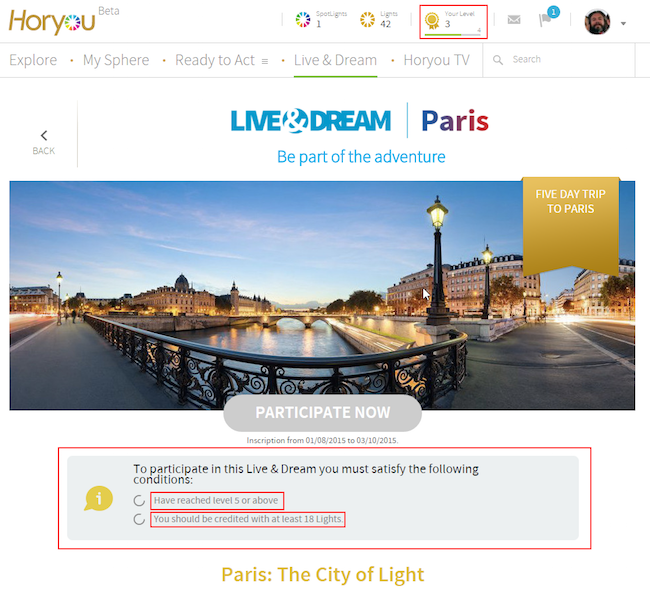 Users are selected according to their answers and contacted directly by the Horyou team. Don’t forget to read our bimonthly newsletter to know everything about our latest Live & Dream events. As always, should you have any questions or suggestions, feel free to reach us at support@horyou.com. The Horyou Dream is Alive in Dublin!